Ofcom has paved the way for more HD on Freeview by agreeing to proceed with an award of a licence to Arqiva to operate two new Freeview HD multiplexes. The new multiplexes will be able to carry up to five HD channels each, increasing the potential number of 24 hour HD channels on Freeview to 15, or more if channels timeshare. The BBC and Channel 4 have already publicised their intention to launch new HD channels on Freeview using the extra capacity, with the BBC announcing this morning that it would launch a further five services in HD. Arqiva was the only organisation that registered an interest in running the extra multiplexes. Under the plans for the multiplexes, Arqiva will use the currently vacant frequency band around 600 MHz, which was cleared at digital switchover. The frequencies include those previously used to carry Channel 5 in analogue in many parts of the UK between 1997 and 2008-2012, before the digital switchover. Unlike the other Freeview multiplexes, the signal will only reach around two-thirds of the UK population, and are likely to be only temporary until around the end of the decade. Ofcom has set a minimum term running until 31 December 2018. 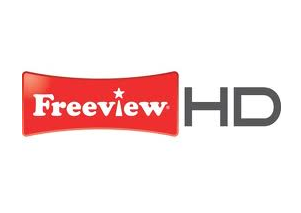 Most major towns and cities will be covered by the expanded Freeview HD line up, which will go live and be rolled out in most areas during 2014. As with the current Freeview HD multiplex, viewers will need a "Freeview HD" certified TV, PVR or set top box in order to access the extra channels. Ofcom and the broadcasters hope that extra HD channels will encourage uptake of this equipment. Ofcom is currently planning to hand over more frequencies, currently used by TV services on Freeview to the mobile phone companies later this decade, in order to facilitate more mobile broadband services. Newer Freeview HD devices are easier to retune, with some retunes done automatically, so an increased uptake of such devices will enable Ofcom to make future frequency changes without creating as many issues with retuning equipment as is currently the case. A version of this article was first published at 10:00.